Thinking about new design projects for your home? In the world of new design, rennovation and transforming your home; there is something definitely universally appealing about the simplicity and sophistication of rooms drenched in the new colors of soft pinks, cool grays, and pale sandy shades. Color is what you decide to make it on the design front. 2019 brings with it an opportunity; it may be an option for you to consider a new remodel project for here at your Lake Kiowa home. Ideas abound and with great ferver you may want to jump in and consider some solid staples in designs that stand the test of time. Here we go . .
Set the mood for brain stimulation and eye the photo selected above and begin the dream process. The realization that all these pale hues create a nearly neutral backdrop; and that it is something that you can personalize with color, warm up with wood, or keep unadorned for a tranquil, quiet mood that’s perfect for bathrooms of all styles and sizes, let us proceed a pace with some wonderful ideas for new projects for your Lake Kiowa home this year...Then let's move the discussion to how to make it yours. It is true that charm and individuality are the cornerstone of the Southern home. Unique and Southern flavor with a spa like escape are no longer reserved for the overly feminine room. You don't have to have flowery wallpaper or very busy accessories. Today, a color palette of creams, whites, and dusty pinks can bring a quaint unique charm that bids each visitor a cheerful welcome in virtually any location where they appear. Charm and sophistication always go hand in hand; better to speak to definition in a particular space, and then remember that the sky is the limit when it comes to details. Design can convey you, your love of color, asthetic, and overall appeal to the senses. The photo in this article is taken from Kohler.com. One of the premier manufacturers of state of the art plumbing fixtures in the plumbing industry. If you are concerned about conservation, and preserving the ingegrity of water and energy savings in your home, consider going to this website for more fantastic ideas for your home. It's always a great time to dream...Consider yourself invited. Lake Kiowa homes are wonderful. For many years, Lake Kiowa this hidden, tranquil paradise was purposely not advertised or publicized. The rapid growth of North Texas and the new and extended tollways are now making it easier for more people to discover Lake Kiowa, one of the finest country club/lake developments in America! The old addage is true; a change of season usually lends itself to cyclical rhythm to our lives Here at Lake Kiowa, it is understood. Maintaing a comforting predictable pace can and usually is an opportunity to get things done you may have been putting off. Procrastination . . . While often we may feel that time is passing too quickly as seasons move in and through our lives, it is also true that being able to harness the energy of that change may make one feel more in sinc with your home, life, and health living here at Lake Kiowa. Eliminate the p-word now! In the spirit of waving goodbye to the past season and preparing for Spring here at Lake Kiowa, let's look a list of some smart things to clean and declutter as the warmer weather starts to set in. Many of our residents here at the Lake do not have additional areas for much storage, and for organizations sake and before you get too busy coming into summer, be sure to take a few minutes to review the list below and see if anything hits home with you. If it does, let's get started right away shall we! Spring Cleaning is the same as it has always been. While it may represent a chore, doing chores means checking off your list. Really who doesn't want to check things off on a list. April 1 can be the new goal day to begin the process of making it happen. You can being to reset the mood for 2019 by deciding on 10 days of spring cleaning designed for your life as well as your mood. Remember this year that every day, you can decide to plan to choose what kind of cleaning your feeling like doing on any given day and take a play from the list below. At least this is a starting place right? Remove or donate cold weather clothing - As the winter season winds down, you can examine your wardrobe with a new perspective. That would be making more room for all your summer styles. You know the clothes, hats, and gloves you always reached for and the boots that stayed on the closet shelf all season. Pack them up today, before another winter comes and you think you might wear them when really you know you want to replace them. Make room now, and if you are not sure...donate to some who may really need them. Wash & donate all extra blankets - Except for linens and blankets for guests, family blanket usage should still be fresh in your mind. How many got used during movie night, which kids prefer to grab blankets from the bed, and the blanket that you just can’t seem to get completely clean anymore. Check it out, why not donate your excess blankets, wash what’s left, and stow them for use next year. Patio plants and planters - If you don't have a place for new things, or all your living plants were disposed of prior to the first cold snap, consider these options. Do you need to revive plants that have seen better days; but you may have some that have kicked the bucket or that you can’t find a good place for? Honestly you probably need to toss all those dead plants, and simply pass along unhappy ones to your green-er thumbed friends, and make sure that you trim dead parts off of the plants you do keep. Fertilize and add soil if necessary, and at the appropriate time, get them outside for sun as the weather allows. Along these lines, go through your collection of plant pots, saucers, baskets, and items in the garage. Really, only keep only what you’re using and maybe one or two you love for future plants. Replace or donate excess serving ware - The Holidays are all but behind us and you realize you’re confronted with the fact that you didn’t use that bag of gold balloons or ornaments and party poppers for New Year’s Eve for the third year in a row. Right, you may be willing to let it go today. Maybe it's something you just love. Decorations from old parties that were never used or items with colors that have faded are not viable. Really, it's time to inventory all of your platters, drink dispensers, specialty napkins, and serving utensils and to make decisions on keeping only the old faithfuls you reach for again and again for parties and get togethers. Update all your cleaning supplies - Spring cleaning season is here, and you’re far more likely to be in the mood to clean and re-organize if you don’t have to wade through a mess of floor mops you never use to get to the steam cleaner. Out with the old, in with the new. You must declutter your cleaning tools and products. Making sure what you keep will be used, and perhaps even add to inventory items you know you will use all year long. Spring sales are coming up! Update and go through your summer products - Now, before you will them, is the time to go through your sunscreens and bug sprays. Check first for expiration dates and toss anything that’s expired or that has separated. Once you’ve cleared out everything that’s no longer good, you’ll know what you need to stock up on and you’ll have it before you head to the beach and water. Buy new on all items you need to in order to do the best cleaning job you can do. Remember to empty your freezer - As the temperature shifts, your cooking may as well. Be sure that you take stock of what’s hiding in the freezer or may be unmarked with a realistic past storage date. The choice of course is to make plans to use it up so you have plenty of room for summer’s popsicles and ice cream or to keep only what you are confident will be used. If you see freezer burn, pitch it. No good taste can happen from freezer burn. Remember that on Thursday mornings Brown McCrory, our golf pro, conducts a team event for all men showing up before the cutoff time with a draw for A,B,C,D players - $5 entry. 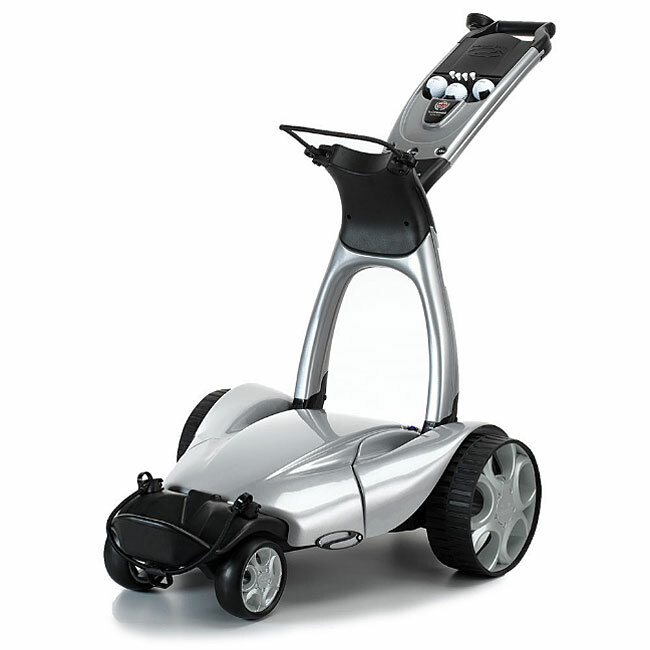 Brown McCrory – PGA Professional and proprietor of the Pro Shop at Lake Kiowa can be reached at (940) 668-7394 Shop. If you have any questions about upcoming golf activities here at the Lake, please give him a call. Wow, the weather is getting hot out there. Do you need some new grass? It's about that time to plant here in North Texas according to lawn specialists. 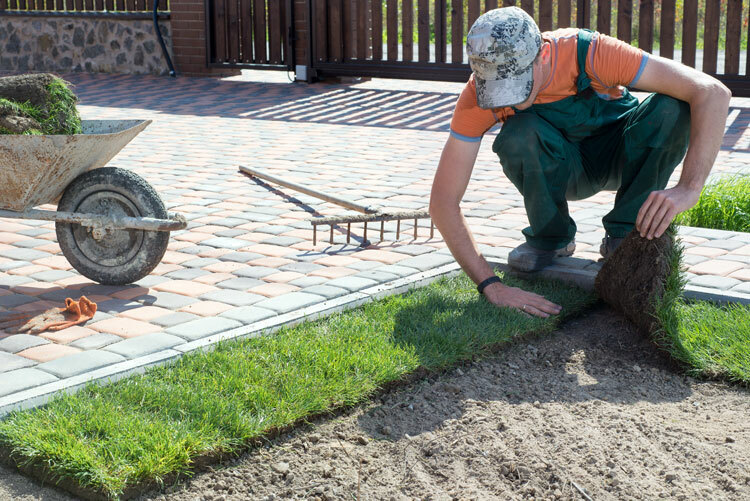 If you have never purchased sod for your lawn or land, then let's take a few minutes to review this list and talk about some critical factors you really need to know prior to arrival of your new sod. If you’re buying very much sod for your whole yard, or adjacent lots, then we encourage you to have it delivered. It is very heavy. A heavy duty truck will be required if you do it yourself depending on what you need. Spring and summer fun is here. The time is now to plan ahead for making your home the best it can be. With events every weekend, BBQ's, parties, and boating activities; your lawn needs to be in the best condition is can be. Whether you are cooking out on the grill, having a pool party, or planting flowers and reworking your gardens means your yard is highly visible. Sod, grass, and trees are a vital part of the landscape mix here at Lake Kiowa and we encourage you to do the research before arrival on planting sod instructions below. We all love Lake Kiowa! Do have your sod delivered (unless you own a heavy-duty truck). One pallet weighs 2,000-3,000 pounds. Not to mention unless you have a pallet jack to get it on and off the truck you will need to do it my hand. Not fun. General rule of thumb is your sod needs to be planted by the end of May, prior to really hot sun and temperatures. It makes for easier work, and it won’t dry out so quickly as you get it established. Best practices says be sure you apply a glyphosate-only herbicide that has no other active ingredient. This will eliminate existing grasses and weeds without leaving any herbicidal residue in the soil. Be sure to do the research on types of sod you have available in North Texas. Here in Texas, St. Augustine for part shade or full sun; bermudagrass for full sun. Zoysias fall in-between and are becoming increasingly popular across much of Texas. Remember, there really isn't a grass for full shade. Be sure that you source your best sod yard you can. Most of you gardners out there are familiar with your independent retail garden centers in your area. A be sure you visit your vendor before you have your new sod delivered to invest in quality product. Try to buy Texas grown sod, processed in late afternoon and shipped to you overnight for early morning planting. When your new sod takes hold and the grass begins to grow, be sure to mow at the recommended height as soon as the grass grows slightly beyond it. Keep the grass at that height. Low mowing encourages dense, spreading growth. If you have any questions be sure to research all the information you can about your sod, and be sure you write the down and discuss questions with your sod provider. It would help to contact more than one grower, and if possible visit the sod farm if you are buying direct and not using a local nursery or garden facility. Be sure to read these Don'ts for the record that will save time, money eliminate having to purchase additional sod that could die. Never accept sod with nutsege (nutgrass). Do the research and get a picture to take when you go visit to buy. If you can see nutsedge in the thin layer of soil, turn it down. The sod-cutting machines will slice the pea-sized “nutlets” cleanly in half. If nutsedge is present, you’ll be able to see those little pieces. Sod is expensive and you don't want to have to purchase again right? Take to heart the recommendations provided in this article. You will find that strict adhearance to these basic best accepted practices, your sod will perform in the manner you hope. Happy Lawns look beautiful and green, and will certainly be a gift to you and your neighbors and family each time you use your patio or yard for all your activities. The November 2017 The Texas Association of REALTORS® has released the new report that gauges Texas homebuyer and seller satisfaction of working with Texas real estate agents. This is great news for everyone who is a licensed realtor here in Texas. What this means to you as a homebuyer or homeseller here in Texas, is that this inaugural Texas REALTOR® Satisfaction Index showed that a majority of homebuyers and sellers highly value the local market knowledge and expertise that Texas REALTORS® provide. What is more impressive is that a survey was given to over 17,000 respondents. These Surveyed respondents cited word-of-mouth referrals and timeliness in communications as important factors in the selection and satisfaction of working with a real estate agent. This tells us people do appreciated great communication skills. Lake Kiowa Realty is very happy and proud to have been a part of this report for 2017, and lets you know that here in Texas, all our realtors continue to strive to provide you with the best service we can in finding you a buyer or a seller for your home. Here is some additional information you may enjoy reading and may not be aware of.